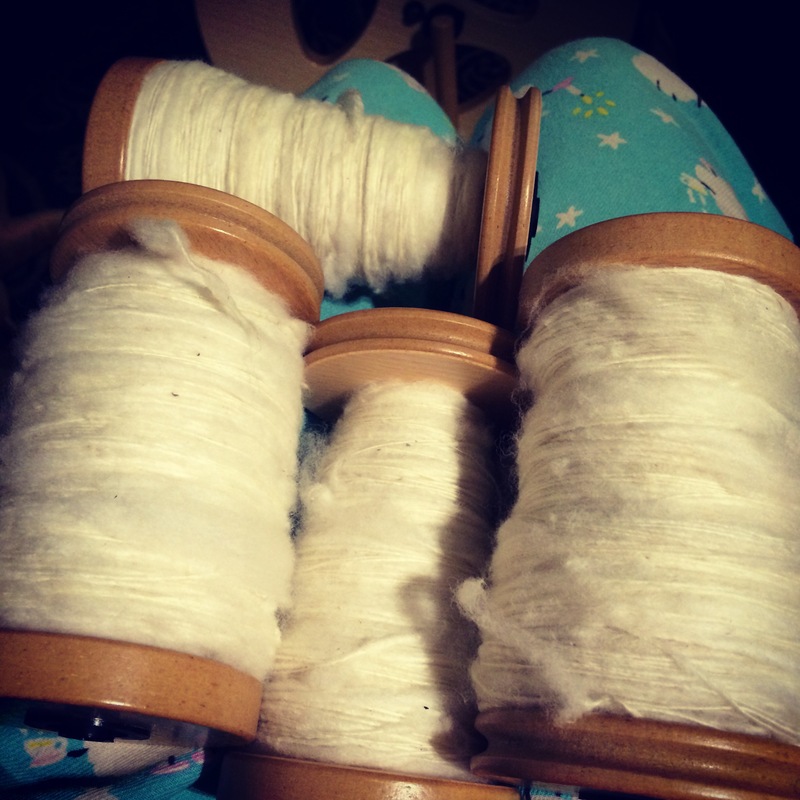 I have 4 bobbins full of singles! I estimate I’ve plied at least a third, so I may reach my 2014 goal yet! !